I have seen similar versions of these making the rounds on various sites lately. I like to think it is because they came across one of my posts. 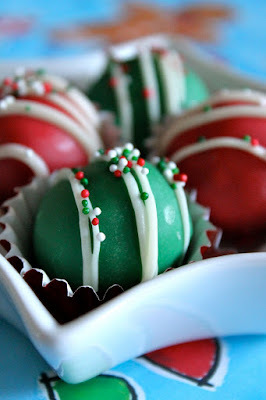 I first made these back in 2009 (as a cookie dough pop) and they have always been a favorite of friends and family. Like the Buckeyes, these freeze exceptionally well!